Small Town Girl | Family, crafts, cooking and more. Family, crafts, cooking and more. As previously mentioned, I am part of a group that has committed to creating 100 or more items before adding anything to our stash. That includes both fabric and yarn for me. In the 3 weeks since I have joined, I have created 14 items. Wow! I never thought I would have got through so many so fast. To be fair, 2 were finishing projects, but that counts too because it gets the project off the sewing/crochet list! Yay! One of the projects I made is one I’ve been meaning to make for a while now. It’s a variation of the Sorbetto Tank by Coletterie. 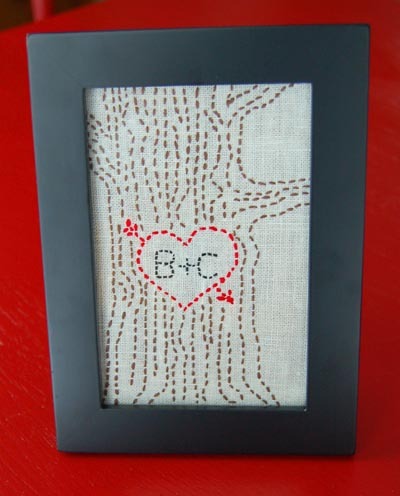 This is a wonderful free pattern that can be found here. 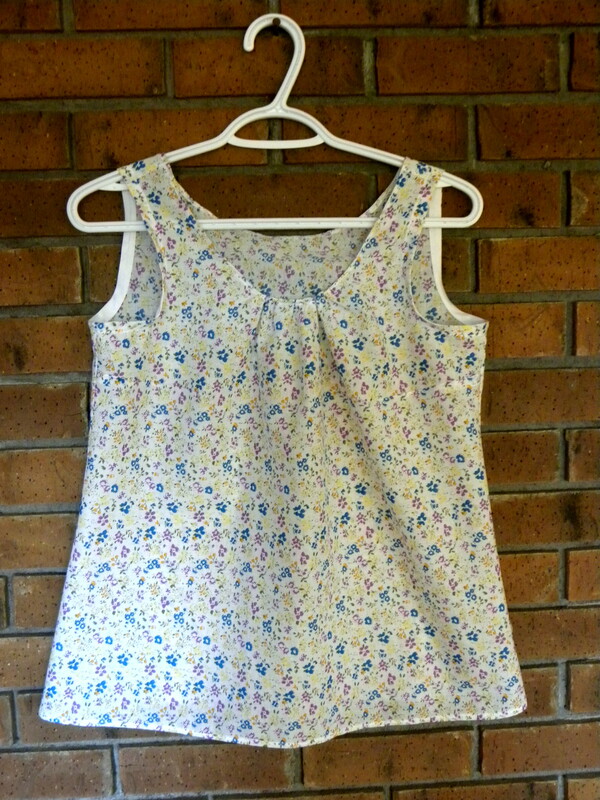 I have made this top once before and really liked it, but the fit of the top was shorter than I like to wear. So for this version, I added 3 inches to the hem. 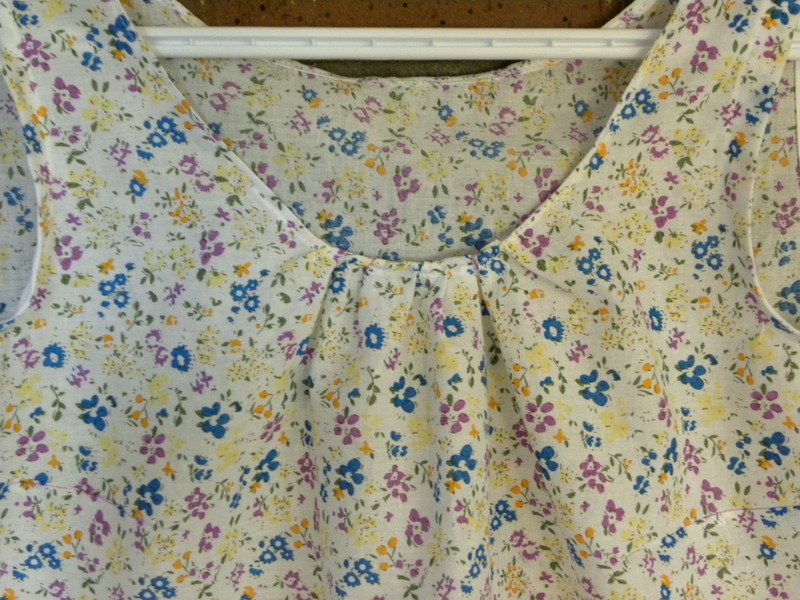 I also gathered the neckline instead of having the pleat. Because I didn’t want to buy anything for this project, and I was out of extra wide double fold bias tape, I chose to change the way the top was finished. Truth be told, I could have made my own bias tape (it’s really not very hard! ), but I decided to go with something different. To finish the neckline, I just serged around it, then flipped it to the inside, pressed it gently with the iron and stitched it down. I wasn’t sure how it would turn out, but I’m actually pretty happy with the result. For the armholes, I used single fold bias tape. I love how it has a very different look from the first Sorbetto I made – such a great base pattern! Have you made a Sorbetto or a variation of it? I would love to hear all about it! I’ve recently joined a group on Facebook called Creating 100 or More. 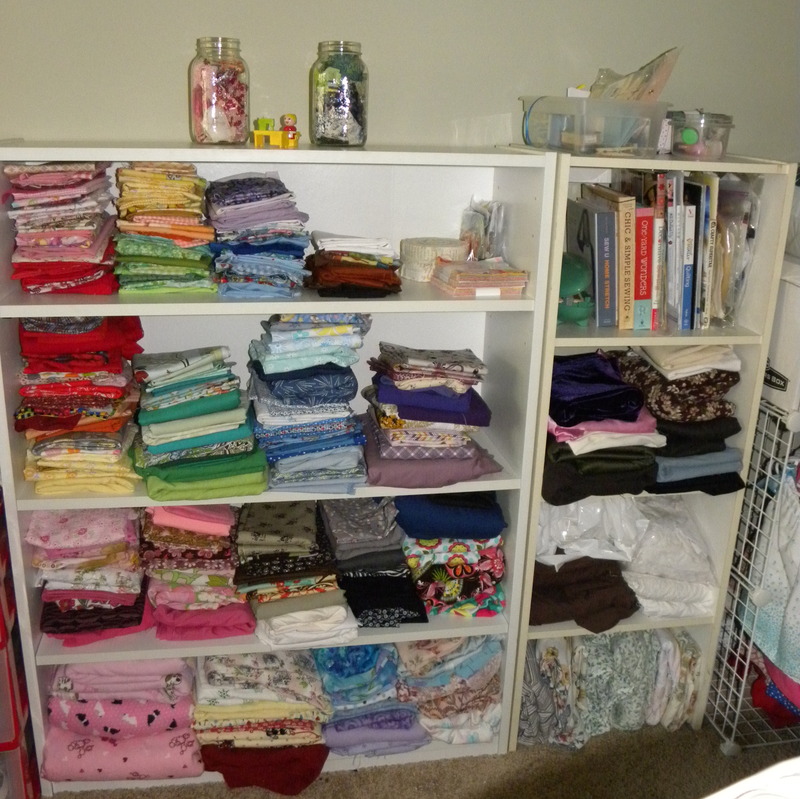 This is a group for those of us who have a lot items in our stash – be it yarn, fabric or whatever. As a member of the group, you try to not buy any more fabric, yarn, etc until you have made at least 100 items using what you already have on hand. The idea is to use up some of that stash! This group is exactly what I need! Although I have bought a lot of fabric and yarn, I have probably been given about triple the amount I have bought for myself. I have kept the fabric and yarn, even when it’s not my favourite because it could be used for something. And yet, there it still sits on my shelf. We get to create our own guidelines, so for myself, if I need thread or a zipper, etc for part of a project, it is okay for me to buy that. I am going to try to sew from my own patterns and free ones online as much as possible, but I may buy a pattern or two if I need it. Want to join me? I would love the company! I plan to share some of my projects here with you and I hope it will offer you with some inspiration. 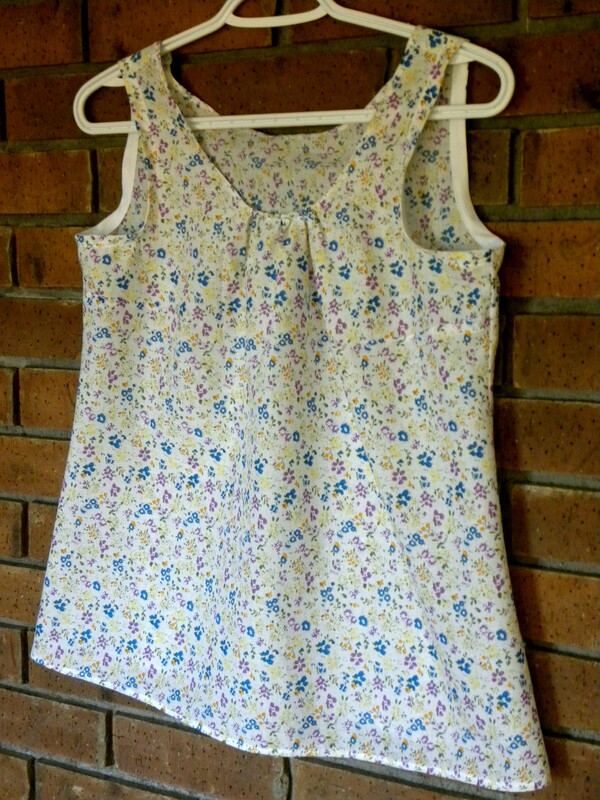 I have started a board on Pinterest called Sewing with Scraps. I have also started adding projects using scrap yarn and single skeins of yarn to my crochet board. There are so many great ideas out there! You can follow me on Pinterest here. Like many parents nowadays, I find myself doing too much for my children. It is easier to wash their dishes and their clothes and make their meals some days than it is to get our children to do these tasks. This past summer, I asked my daughter and her friend to wash their baking dishes after making cupcakes. Later, I went into the kitchen to see half soapy, half clean dishes sitting right side up in the drying rack. First of all, I was glad that they did the dishes. I think they were likely rushing through them because they didn’t want to do them, hence the not well washed job. But as I looked at those dishes that were right side up (how was the water going to drain off the dishes?! ), I realized something. I’ve never actually taught my daughter to wash dishes in the sink. We have a dishwasher and I just do all the handwashing myself. I’ve never gotten my kids to help me. I have taught my girls many other life skills – how to put on a load of laundry and how to separate it, how to clean a bathroom and polish a mirror, how sort the recycling and take out the garbage – plus a few others that we do day to day. But my girls don’t know how to fold laundry… or wash the dishes. It got me wondering what good was I doing by only doing these chores myself? My children will need these life skills when they are out on their own. So now is the time. My older girls are 12 and 10; my youngest is 4. It’s time to teach my girls to plan healthy meals and cook them, to fold their laundry so it looks nice and to wash their dishes in the kitchen sink! I might even make a list of things I want them to learn, so that by the time they move out, they will know all these important life skills. We’ll start small with our youngest, of course. Helping to set the table and clear it after dinner. She already helps fold laundry by folding all the cloths for me. I’d love to hear what skills you have taught your children and which ones you hope to teach them and if YOU, like me, have been doing TOO much for your kids. I love when a New Year comes along. I love the energy and hope it brings for positive changes. It’s like a natural reset button. Along with millions of other people, health is pretty high up on my resolution list. I used to be really healthy. I grew up on a hobby farm eating mostly home grown, organic produce. Our meats came from our farm and my grandfather’s. Our milk, for a time, came from my grandfather’s farm as well. Our neighbors had farms and we often shared with them and they shared with us. I was so blessed to grow up in this wonderful environment! Growing up in the country meant we couldn’t get cable TV where we lived and so we spent all our time running around in, and exploring, the outdoors. Not only was this amazing exercise for our bodies, we got the benefits that are also good for the soul. Connecting with nature is such an important part of who we are. As an adult, I moved to the city, got married and I now have 3 beautiful children. I love where my life is and I would never change that. But it has made for some unhealthy habits. Like many mothers, I make sure my family is cared for and place myself at the bottom of the list. I believe this is a natural thing for mothers to do, but I also think we need to put our own care on our priority list as well. I once saw a naturopath who told me that a mother is like the center of the wheel and the family are the spokes. Although all important parts to the wheel, the wheel simply can not function well if the center of the wheel is not working at its best. I really liked this comparison and it has stuck with me. I have placed myself on the back burner for a long time and have made several attempts over the years to get back to healthy. Like so many others who try to do this, I have found that this is not the easiest thing to do. It is far too easy to fall back into old bad habits. But do you know what the good thing is? We can start again. No matter how many times we try and end up falling back to old habits, we can still try again. We don’t have to give up. And so it is time to start again. With a fresh, positive focus. I am trying again. For myself… and for my children. I want to be here for a long time. I want to be healthy and enjoy my children. I want to have energy for them. I want to see them grow up and be all that they can be. And my kids need me to set a good example for them. They need me to show them that it is important to take care of ourselves. That we ALL deserve that and it is worth our time and commitment. 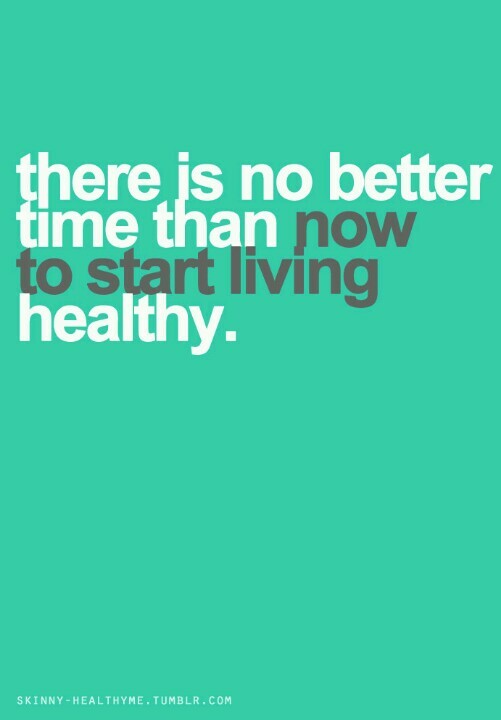 If you have healthy habits in your resolutions, I hope you are able to make that happen. Just remember that if you fall back to your old habits, it is okay. Forgive yourself – you are only human, you know – and start again. You are worth it! So, one of the benefits of closing my shop is that there will be more time for sewing all the other things I have been wanting to sew! 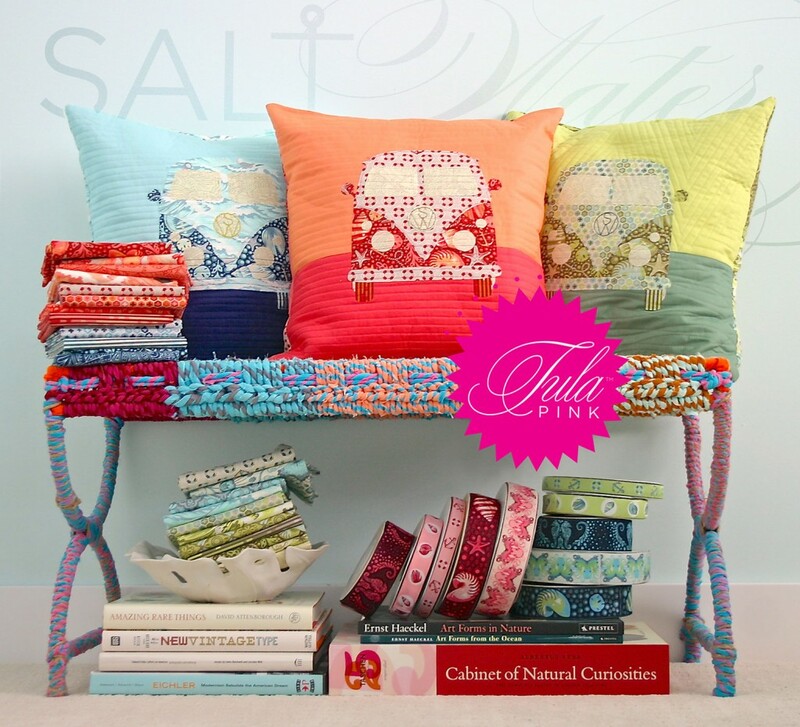 Today I want to share some home sewing inspiration. I am so in love with this cute little table runner from Moda Bake Shop. 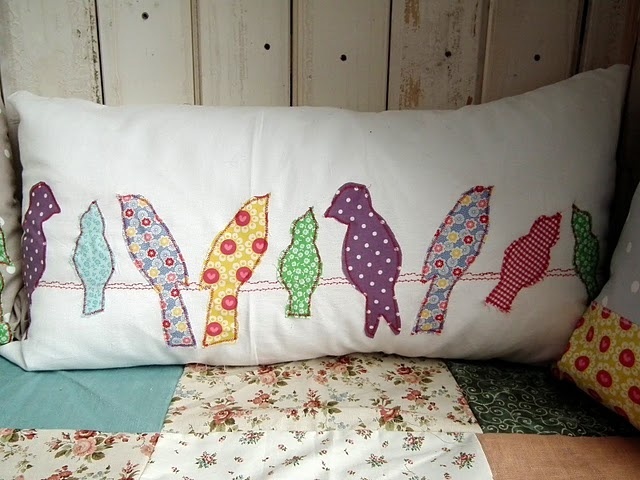 I think a bird pillow like this one from Bless would be such a great addition to the couch. This pillow is one I want to make for my husband who loves VW vans. Thanks Tula Pink for this amazing pattern! I have been wanting to make one of these love trees, seen at The Modern Lady, for my husband as an anniversary gift since I first saw it. Now might be the time to finally get started on it. And let’s not forget a quilt. 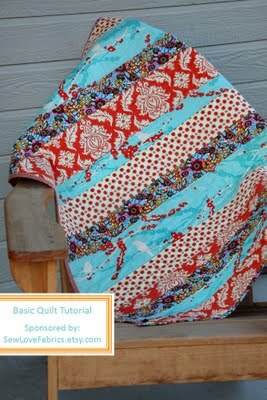 I have been wanting to learn for a long time and I can’t wait to have a quilt or two in my home. 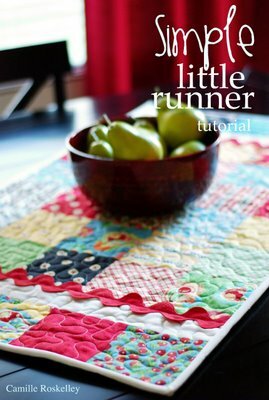 This quilt tutorial over at Tip Junkie looks great! Have you made any great stuff for your home? I would love to hear about it! I didn’t think I would be headed back here. Life is busy and over the past couple of years it has gotten busier. And so today, I announced the closing of my shop. It was a really hard decision to make, but in the end, I think it was the right one for me. At least for now. I’m really excited to have time to sew for my home, myself, my family and my friends again. I’m excited to have time to learn some new sewing skills. I’m excited to clean, declutter and organize my home and create a more relaxing and happier space. And I want to be able to come here from time to time and share tips, tricks, stories and inspiration. I’m not sure what direction this space will take on, but I’m happy just to have it here and to stop by when time allows. Maybe it will evolve into a theme, or maybe it will just be random talk. So, if anyone’s out there, I look forward to hearing from you and hearing your tips, tricks and stories too. Welcome (back) to my little blog. After much thought and consideration, I have decided to end this blog here. I hope you enjoyed my adventures in learning to sew, entertaining my toddler and my cooking. As it is with many families, my life is a busy one. I am wanting to put more focus on my family, my business and my health. Thank you to those who have stopped by. I have truly enjoyed having you all here to join me along the way.